Yes, that is just a giant picture of a lizard. 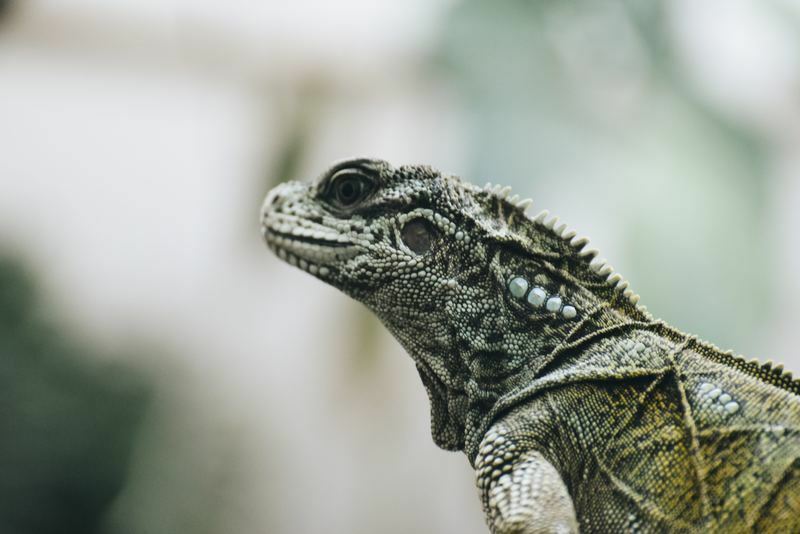 I promise—this lizard actually relates to getting more travel clients. Well, my presentation was all about the easiest ways travel pros can increase conversions on their websites—a.k.a. 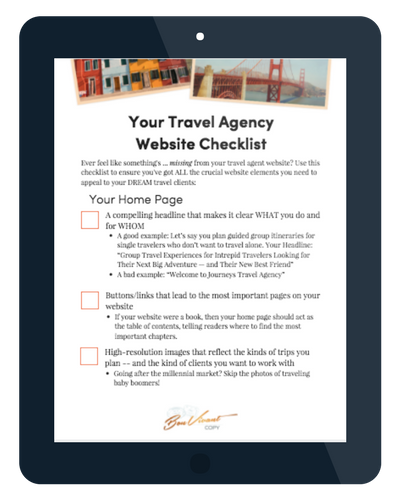 turn more web visitors into real, live travel leads. And one of the easier, no-brainer ways to increase conversions is to use buttons. Because buttons tap into what’s called our Lizard Brains. The parts of our brains where decision-making is automatic, instinctual. We don’t think about taking an action—we just do it. Like a lizard going after its prey. The lizard isn’t sitting there thinking “hmm, I wonder if I act now whether I’ll really be able to capture this fly, or if he’s too fast and wily for me.” Nope. The lizard just REACTS—he operates on gut instinct. He’s ruled by his Lizard Brain. So, erm, what does this have to do with buttons? Well, we’ve been trained our whole lives to click and push buttons, both online and off. Push a doorbell to summon a friend. Click the “pay now” button to complete your online purchase. If you put a button in front of us, our first instinct is to push it—no matter what the button actually does or says. Because buttons tap into our Lizard Brains! A button is enticing on a gut level. That’s powerful. And I urge you to tap into that by using more buttons on your own website. For example, maybe you end your services page by asking your reader to fill out a form to schedule a complimentary consultation call. You hyperlink the phrase “fill out a form” so your reader can click on it and get to your online form. To tap into the power of our Lizard Brains, do this instead: Turn that hyperlink into a button. Don’t even worry about changing the copy on it (at least, not yet). I promise you, turning that call to action into a button will increase conversions. 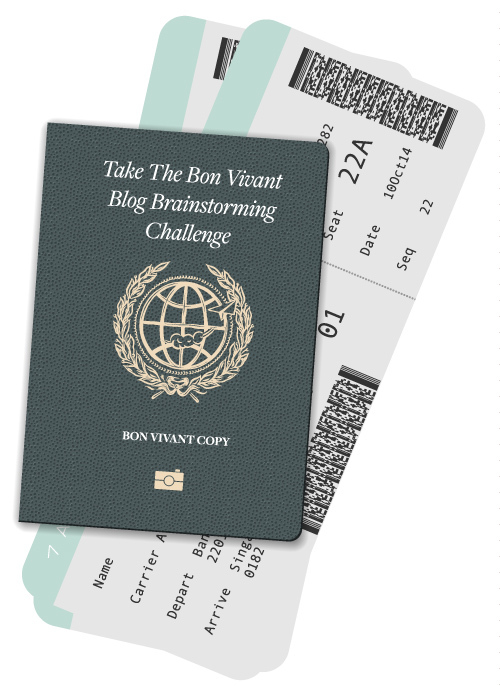 Get more writing and website tips from the (lizard) brain behind Bon Vivant Copy—follow us on Facebook for bite-sized chunks of actionable travel agent marketing advice!